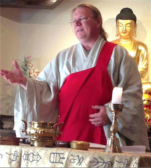 We will suspend sittings and teachings at The Only Love Zen Sangha during the month of August, starting today (July 17th). We traditionally step back from the sangha every August. But this year has been especially tiring for many, many reasons. So this year’s break is sorely needed. We will resume again in September.